Fox News Guest: Caravan Migrants Are Going To Infect Americans With Leprosy, TB, And Smallpox [VIDEO] - Joe.My.God. “We have three tenants [?] of problems here, we have national security, public safety and public health issues with these caravans coming to the United States. Now in the national security realm, we’ve got all sorts of people, not only Central America but they’re coming in from Africa, from the Middle East and other places in this caravan. It has already been documented, it has already been noted by our intel people that are down there. We have these individuals coming from all over the world that have some of the most extreme medical care in the world. 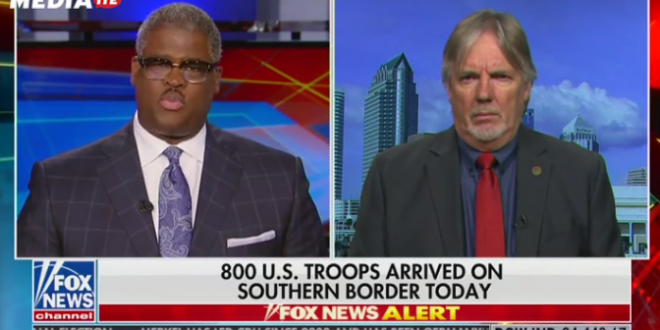 And they’re coming in with diseases such as smallpox and leprosy and TB that are going to infect our people in the United States.” – Former ICE agent David Ward, speaking today on Fox News.